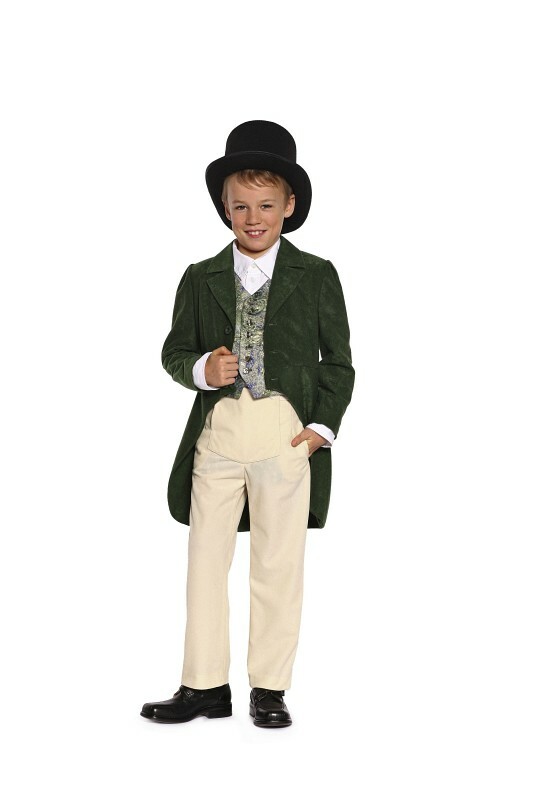 A boy´s suit in the style of the Biedermeier period. Jacket A has lapels and a cutaway-style skirt. Pair it with the pants, view C or D, in two different lengths, both with buttoned front fly flaps. Sew the waistcoat, view B, from elegant fabric to complete the authentic look. Lightweight wools, velvet, jacquard fabric.